Attached is one of Astral's new Omnidrives set @ 220mA. It's doing 120mW with a G2 lens. Payment: Paypal F&F prefered, purchaser fronts the fee if standard payment is chosen. BTW, when you get the spectrometers, don't touch anything inside the optical bench with your bare hands. Lint free cotton gloves are best, but you can also use surgical gloves in a pinch. I removed the baffles with tools, so I didn't touch any surface inside the bench. Good luck with your sale. Sounds like a good deal for a drop in module. I set mine for 275 mA, so you needn't be too conservative. E: I had one omnidrive, but it was defective right out of the bag. I recently put one of these diodes together, and it is just about my ideal wavelength, clearly neither blue nor green. 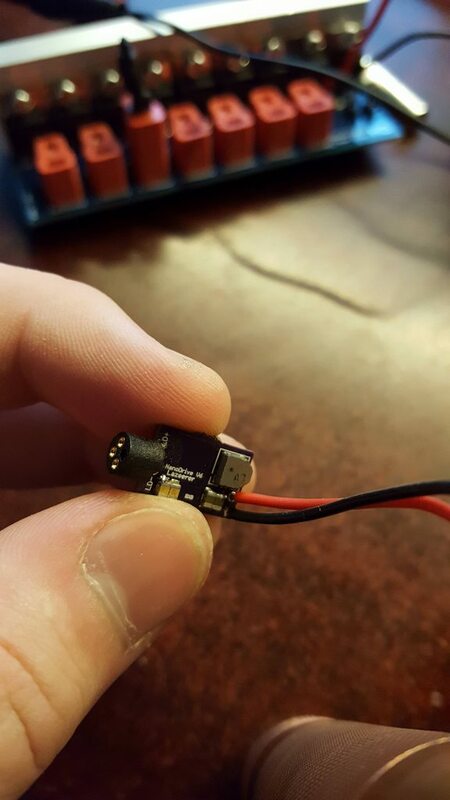 I went through a lot of trouble to get the driver attached, including accidentally frying one of the drivers setting the current. Having it already pressed into the module, with one of the drivers that can do it wired up and ready to go, THAT is convenience! I will buy it, can you mail to my address is a military base at APO, AE? From your signature, Eracoy, it looks like you got one of all of the Sharp diodes that have come along. Did you have problems setting those up, or did someone do it for you? I guess it is all a learning experience. Having good test equipment and the right tools help a lot when it comes to doing this kind of work. I'll take it as well pmed. 495 is an incredible w/l, to my eyes sometime with a blue tinge, sometimes with a slight green tinge but always a pleasure to look at, it's in my opinion a soft white. I haven't lost a diode to construction since. If you have the couple millimeters to spare, it can help with both construction and supporting the pins so they don't bend/snap. I've hunted around for those diode mounts before, didn't have any luck except a company called Odicforce in the UK, but they are a pricey item per piece. I do use a socket when testing diodes, but I prefer to solder diodes directly to the driver on these low current builds. The pins won't bend if you make them short enough, and there is no chance of a resistive connection becoming an issue later on. Got the 495 nm diode module today, installed in a Lifetime host, such a color! Dot doesn't look round in this photo due to intensity. Duuud!! That is just beautiful color! !